You'll discover the secrets of the fishermen with a guided tour of the Guild building and enjoy a seafood menu made with fish from the Barceloneta. 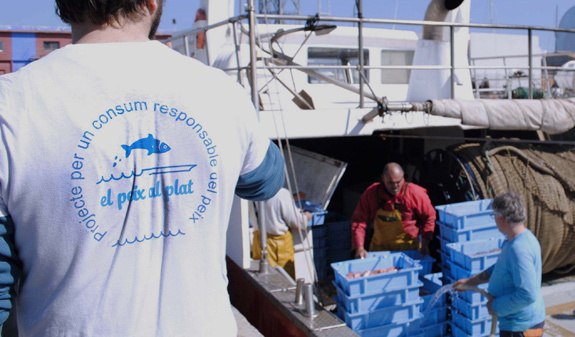 The guided tour of the Barcelona Fishermen's Guild will tell you about the history of Barcelona's fishermen, their origins, the fishing techniques they use and their lifestyle. 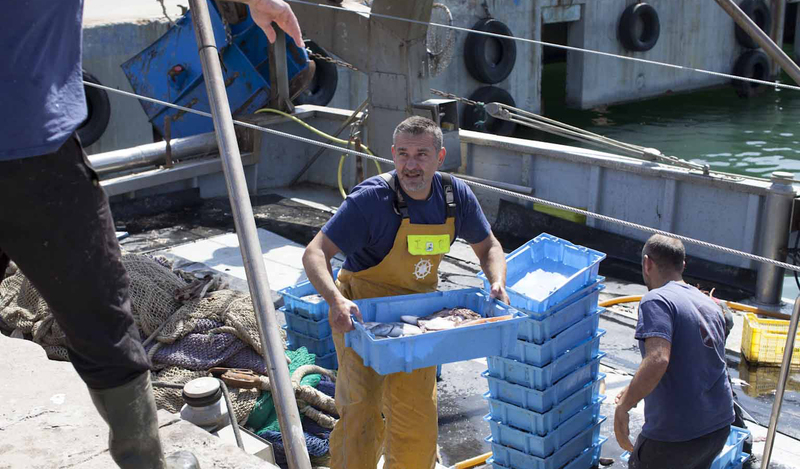 You'll see how they come in to port with their ships and, if you're in luck, you'll be able to chat to them in the yard where the landing nets are kept. At the Xup Xup restaurant you’ll be able to sample the seafood menu see menu or a selection of tapas see tapas, depending on your choice. Afterwards, you’ll visit the wholesale fish market where Xup Xup buys its fish. You’ll find out how the market is run and the fish are auctioned. Guided tour of the Fishermen's Guild. Seafood menu or tasting menu of seafood tapas. 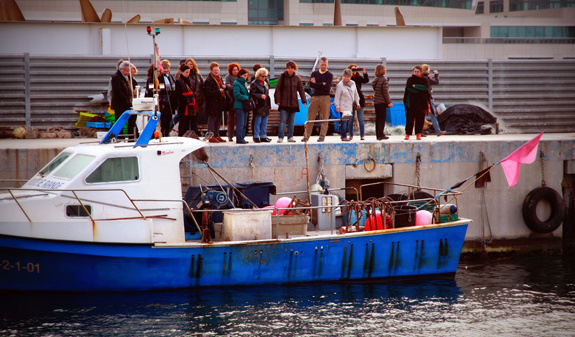 Times: from Monday to Friday (Tuesday only Fishermen's Guild visit). 1.30pm Seafood menu + 3.30pm Fishermen's Guild visit. 2pm Seafood tapas + 3.30pm Fishermen's Guild visit. Closed: from 3rd March to 2nd April. Language: English, Catalan, Spanish and Italian. Length: 4 hours (Fishermen's Guild visit 1h and 30min./ lunch 2h. )2 hours Fishermen's Guild visit only. Visit at 1.30pm or 2pm: Restaurant Xup Xup. Passeig Marítim de la Barceloneta. Bus: 45, 59 and D20. Visit at 3.30pm: Fishermen's Guild shelter. Moll de Pescadors, s/n. Bus 39 and V15. You will need to bring ID or your passport.